A topic I have neglected to address in my previous Blogs is the importance of keeping your skin clean and moisturized. This may not be the easiest of tasks for someone who has incontinence. Those using incontinence pads, briefs, or underwear are susceptible to urine coming in contact with the skin, which over time can cause skin break down. Therefore, it’s especially important to care for your skin, which can be accomplished by using incontinence skin products. Let me enumerate important steps that should be taken to prevent skin breakdown. Clean and dry the moist area of your skin as soon as possible. Cleaning your skin may be done by simply using mild diluted soap and water. Followed by rinsing and gently patting dry…but this may not be your only alternative. Using flushable wipes, body washes and disposable washcloths should always be considered when skin becomes irritated and shows signs of breakdown. Moisturizing creams, which come in tubes or pump bottles, can help keep the skin clean and moist. Avoid products that contain alcohol, which may irritate the skin. There are also skin sealants or moisture barrier creams, that contain healing agents such as lanolin, which can be considered for protecting sacrificed skin areas.. Always read the directions on products that you purchase. Some products do not require rinsing, which make them convenient to use when you are on the go. There are several excellent products available to keep your skin clean and well moisturized. These products fall in the classes of flushable wipes, disposable washcloths and body washes. In addition, there are creams and ointments that serve as barriers or sealants by forming a film over the skin that prevents urine from coming in contact with the skin. In this Blog, we will discuss and SPOTLIGHT some of the products that fall in these categories. That way, you will have the opportunity to make better decisions about what is best for you or a loved one. It’s vital that one understands the necessity for keeping skin healthy. This is especially true for the elderly because as one ages their skin also ages, and skin becomes more susceptible to breakdown. Of special concern, are the elderly who are confronted with incontinence…in those instances urine can attack the skin resulting in dermatitis or infection. It’s necessary then to use caution and good judgment when making decisions as to how the cleansing of skin areas should be approached. Although using soap and water serves as a convenient and popular routine for cleansing the skin, it may not be the preferred method because soap and water cleansing can hinder the healing process of damaged skin and actually enhance the possibility of the skin succumbing to breakdown and infection. Then, you might ask, what is the best way to manage skin care in the presence of incontinence? The answer to that question…always use “preventative” measures, which means taking the necessary steps to prevent the skin from breaking down. This means using wipes and creams that have been specifically formulated to keep skin clean and moisturized. If used as directed, these products will help prevent skin irritation and infection. I’m SPOTLIGHTING three excellent products by Tena that work gently to keep skin clean, moisturized and free from infection. to make you aware of is Tena Cleansing Cream, packaged in a convenient tube. It’s a very well formulated product composed of emollients, moisturizers plus skin conditioners all of which work together to keep skin conditioned and free from breakdown and infection. This product should be considered when skin becomes dry from soap and water clean ups. Lastly, Tena Cleansing Cream, packaged in a pump bottle. I’m mentioning this product for those who prefer a liquid cream over a tubed cream. 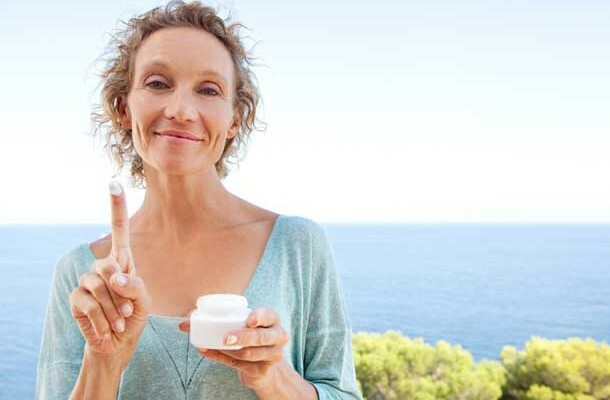 It is a very similar formulation to the tubed cream, but may be a bit easier to use because of its less viscous properties and convenient dispensing pump. All of these products are best sellers at Careway Wellness Center, and highly recommended. Click on the above images to learn more about these excellent Tena products.